The Department of Mathematics and Statistics (DMS) has over 50 professors representing diverse areas of pure mathematics, applied mathematics, and statistics. Many of our faculty have obtained international recognition for their research. Our graduate and upperclassman courses usually have 5 to 15 students, and many of our general undergraduate classes are capped at under 30 students. Thus, we are able to offer our students personal attention and close contact with faculty. Please browse our faculty or research fields of study to see what choices for specialization are available. Some faculty maintain applied research programs associated with several government and industrial laboratories. Two faculty members hold the Associate of the Society of Actuaries designation and their group has been successful in placing students in actuarial positions. We offer undergraduate programs leading to a Bachelor of Science in Mathematics and Applied Mathematics (with options in Applied Mathematics, Discrete Mathematics, or Actuarial Science) and graduate programs leading to a Master of Science in Mathematics, Applied Mathematics, Statistics, or Probability and Statistics, and/or the Doctor of Philosophy in Mathematics. The mathematics classroom building (Parker Hall) has three computer labs equipped with over 50 desktop computers, providing several pieces of software and convenient Internet access. Wireless internet is also available for your own device. Also, if needed, graduate students will be provided a computer for their offices. Please browse our website to learn more about our undergraduate curriculum, our graduate curriculum, and upcoming colloquia and seminars. Dr. Albrecht received a M.S. in Mathematics with a minor in Physics from the University of Essen, Germany, in 1980 and a Ph.D. in Mathematics from New Mexico State in Las Cruces in 1982. After a year at the University of Duisburg, Germany, and a year at Marshall University, he came to Auburn University in 1984. He received his Habilitation in Mathematics from the University of Duisburg in 1986. His research is in Abstract Algebra. Dr. Albrecht has been investigating the relationship between the ring-theoretic structure of the endomorphism ring of a module and the structure of this module itself. His work originally focused on endomorphism rings of torsion-free Abelian groups, but it became soon apparent that the tools developed also provided interesting insides in the structure of mixed Abelian groups, i.e. group which have both a torsion and a torsion-free component. Dr. Albrecht has been working with researchers from the University of Connecticut and Babes-Bolyai University, in Romania to develop a comprehensive structure theory of self-small mixed Abelian groups. In addition to endomorphism rings, Dr. Albrecht is interested in non-singular rings and modules over such rings. In cooperation with Dr. L. Fuchs and Dr. J. Dauns from Tulane University, Dr. Albrecht classified the rings for which non-singularity and Hattori's notion of torsion-freeness coincide. The resulting class of rings and the theory of their modules has been the focus of several research projects on which Dr. Albrecht collaborated with Mathematicians from the University of Duisburg-Essen and Charles University in Prague. 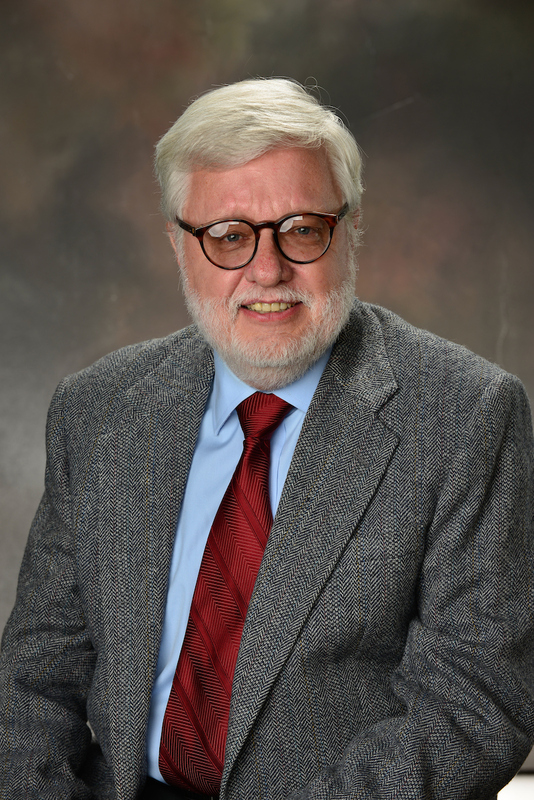 Dr. Albrecht has been chair of the Mathematics Department 2000 - 2002 and has been the Graduate Program Officer 2012 - 2018. His wife, Dr. Effie Piliouni Albrecht received her Ph.D. from Auburn, and has taught at Auburn in the English Department and the ESL program. His older daughter is enrolled in Auburn's Fishery program, and his younger daughter is also attending Auburn.